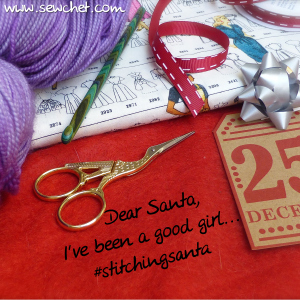 Hopefully, my parcel for my sewing partner in Sheila at Sewchet’s Stitching Santa will be arriving any day – I hope she isn’t tempted to peek before the big day. This enamel pin is what I bought with my budget. 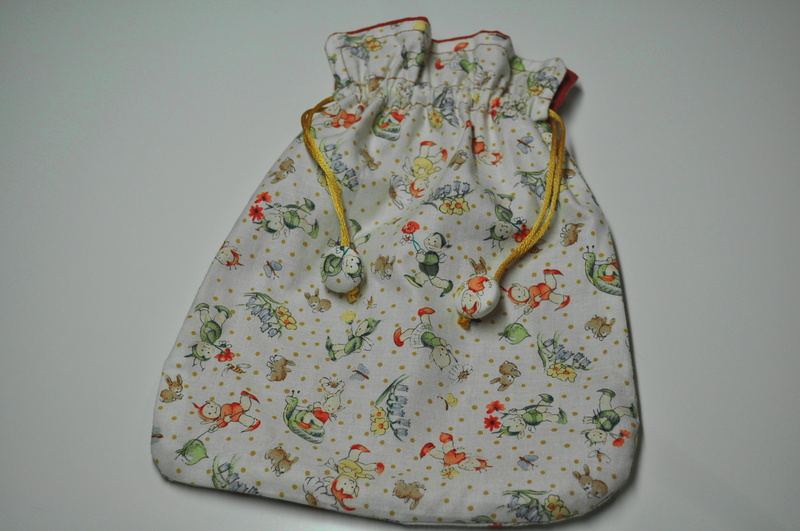 This little drawstring bag with I made with some cute Mabel Lucie Atwell fabric contains some little gifts. 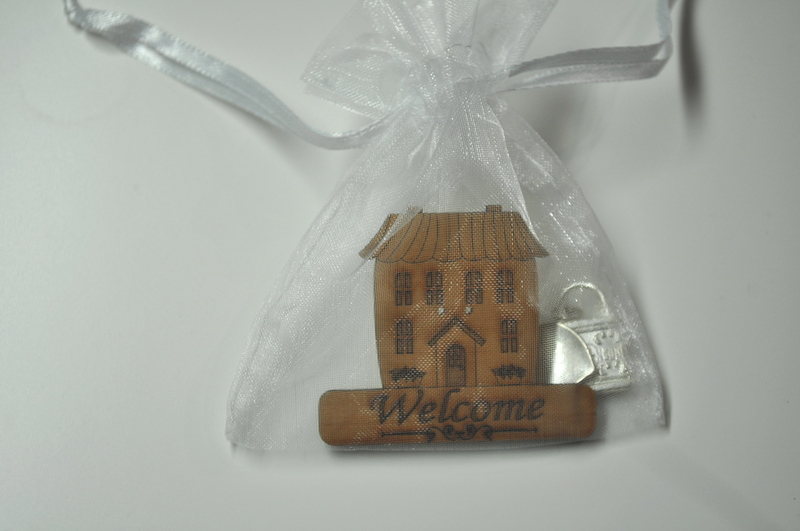 …..and this sew on purse clasp…..
and a few little charms ….. 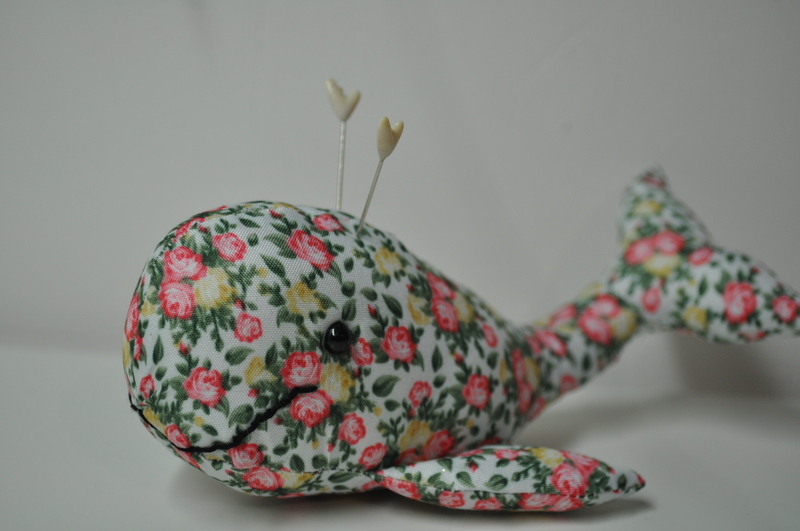 The pinchushion whale made her way in there but I did take the pins out in case of postal difficulties. A handmade needle case made with lovely Liberty, some 10 inch squares of their tana lawn cut from my stash and a fat quarter(ish) of the blue and red one all in a luscious Liberty bag. I hope she enjoys her Christmas surprise. 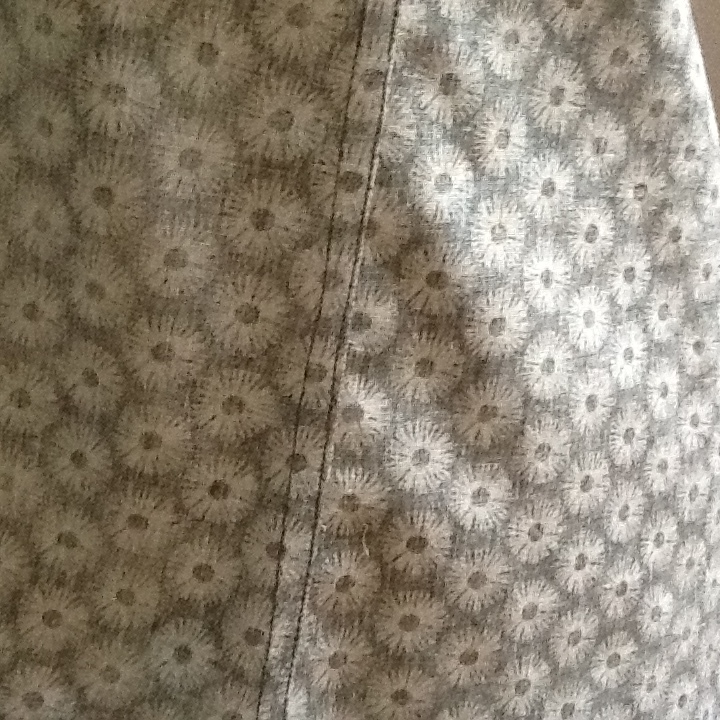 Remember this Liberty fabric I bought at the recent Knitting and Stitching Exhibition? Well, I didn’t really have any plans for it when I bought it but a friend of mine was looking for a pattern to make a simple top with some silky fabric she has and I remembered the Sorbetto top by Colette patterns which I had downloaded but never made up. So, I thought it would also suit the tana lawn quite well. 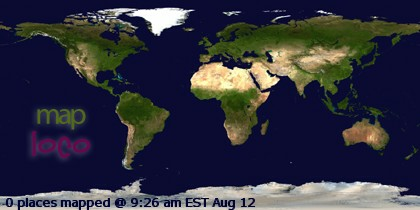 Here’s me getting ready with the remote. I am also testing out my daylight lamp as a photography aid. My house is not very good for letting in natural light as it is very old and designed for keeping the heat out. 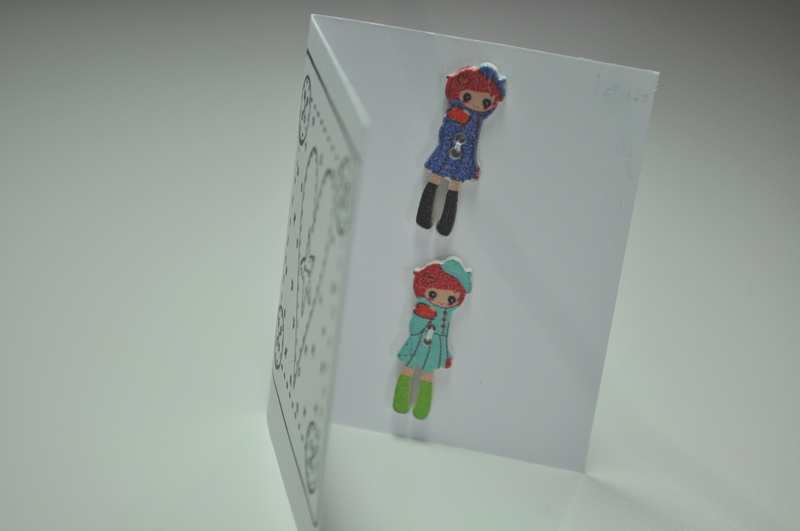 However, I need to photograph some little people’s clothes for my shop and I am not satisfied with my results so far so I am experimenting. 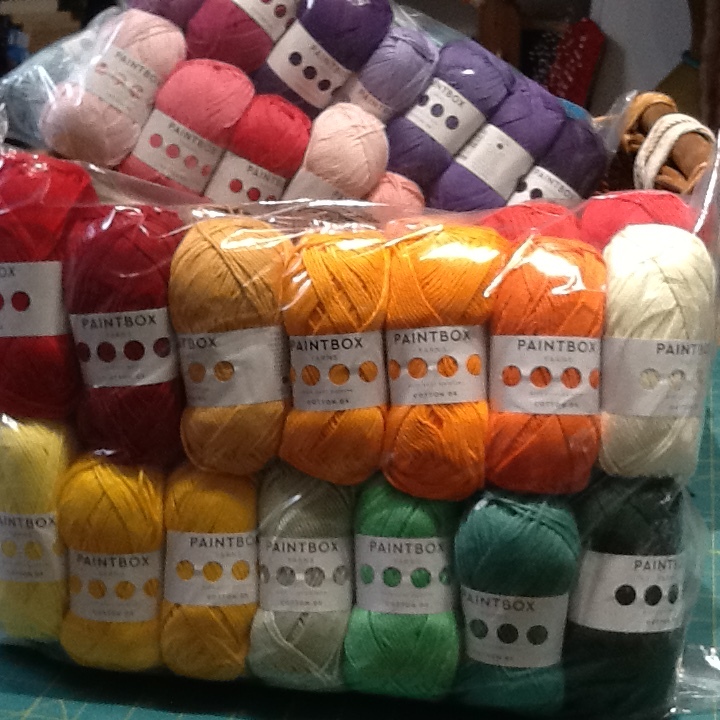 The Sorbetto pattern is a free download which you can find here. It is actually for a sleeveless top but I found a pattern hack here and added some little sleeves. I seem to be looking unbearably smug in this photograph but that might be because I made my own bias binding to go around the neck and I also used it for the sleeves. Get me! So chuffed was I with it, I had to actually photograph it on its own. I take my pleasures where I find them these days! 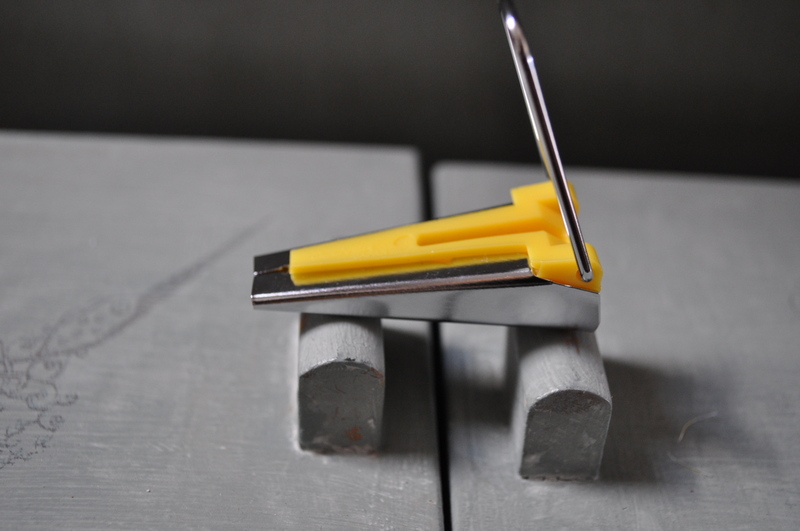 The gadget you need is this Clover bias binding maker which didn’t come with any instructions. 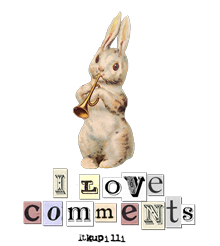 I followed this video tutorial by The Little Tailoress where you have the added bonus of somebody looking adorable in a pink floral Liberty dress but you can’t hate her for it as she seems so nice. This little top is very simple to make. I have seen claims of making it in 45 minutes from beginning to end. Hmmm. Maybe if you don’t add sleeves or make your own bias binding. Maybe if your bobbin doesn’t run out and the postman doesn’t knock on the door. Maybe if you don’t have to stop for a wee and a cup of tea halfway through. Or is that just me? 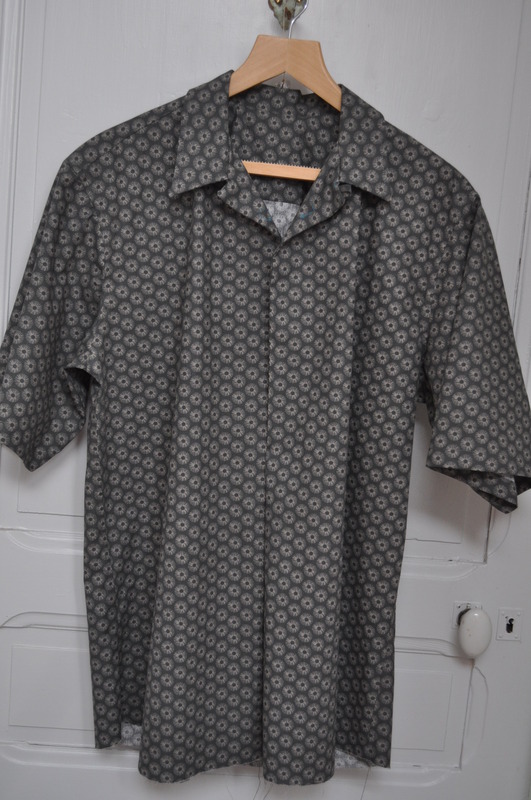 Anyway, it is quick and you could probably squeeze one out of a metre of fabric if you mess with the layout and it is a very handy top for summer. I will definitely be making more. 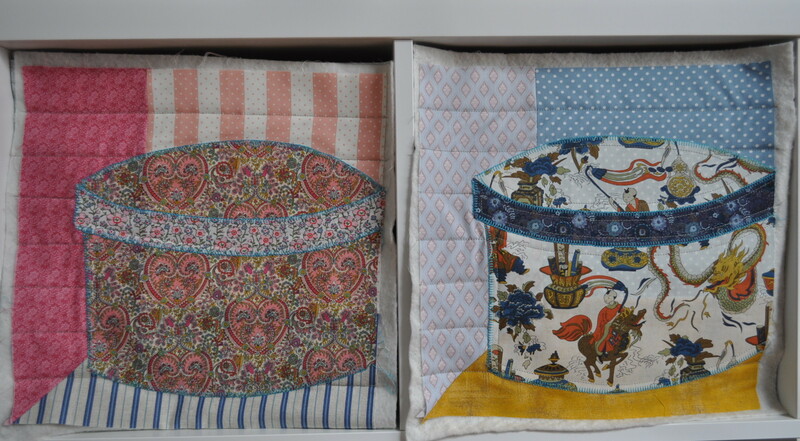 I have lined bunny ears with it, made coin purses and fabric storage baskets but I wanted more from my Liberty stash. So, as I long ago left the age of 25 behind, I decided to make teeny tiny dresses in order to indulge my addiction. Here are a few I’ve finished or semi-finished. Actually, that last one in red and white is Tilda fabric but you get my drift. 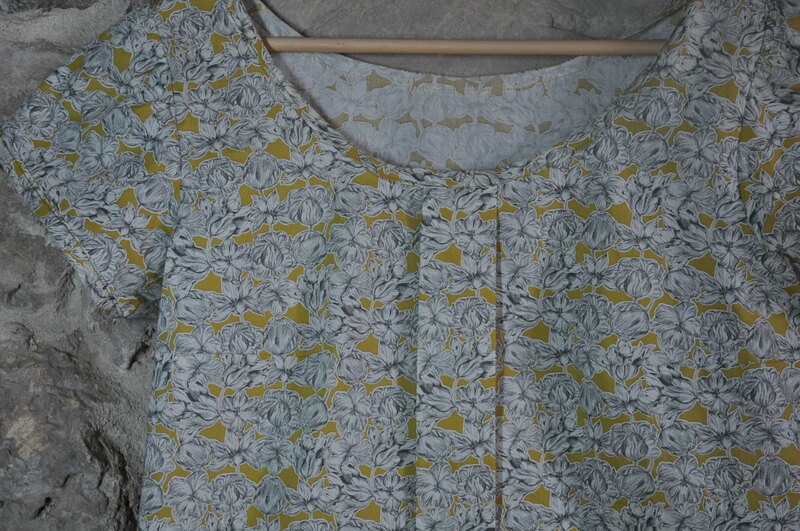 I have even been using Liberty of London cotton jersey to make miniature skater dresses like my Lady one. It’s a good use of my new overlocker and I still can’t get over how the seams look so professional when done on a proper serger. The cotton jersey is gorgeous but it is quite difficult to find, especially in prints that are suitable for very little girls. 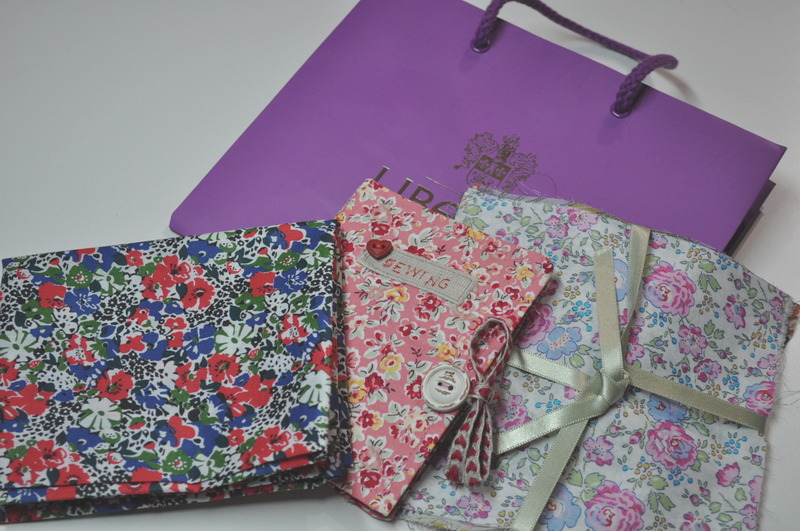 These ones were from Sewbox who have quite a good range of Liberty fabrics at reasonable prices. This one is teeny, for 0-3 months, it makes me feel quite broody although that’s something else I have passed the limit for. Perhaps the dogs would like a dress. Somebody stop me! 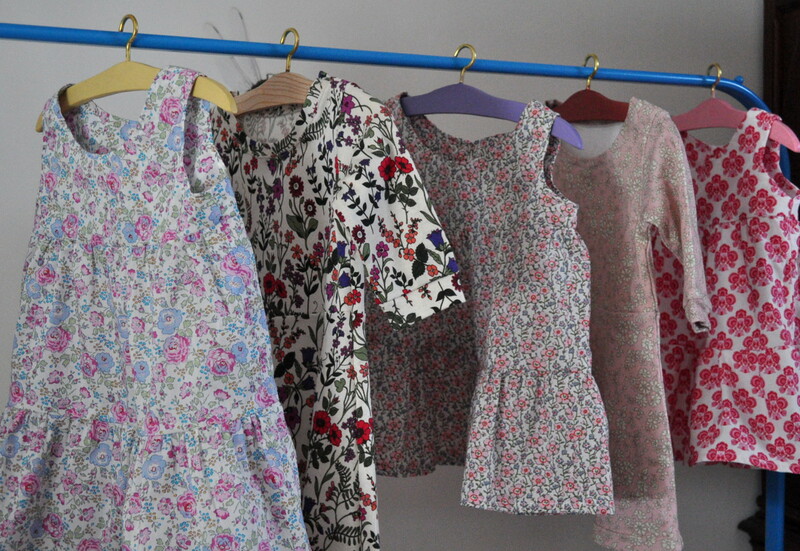 ** I must here mention a notable exception because there is a blog I follow ‘The Little Tailoress’ and she made a ditsy, pink, floral Liberty dress and looks damn gorgeous in it. She is, however, probably only 25 or very near to it anyway. You can see it here. 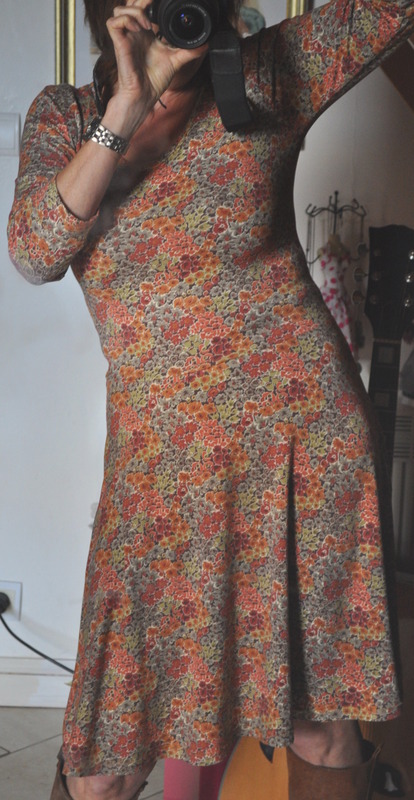 Well, I think I’ve found my favourite dress pattern, for now anyway, so here’s another version of the Lady Skater Dress. 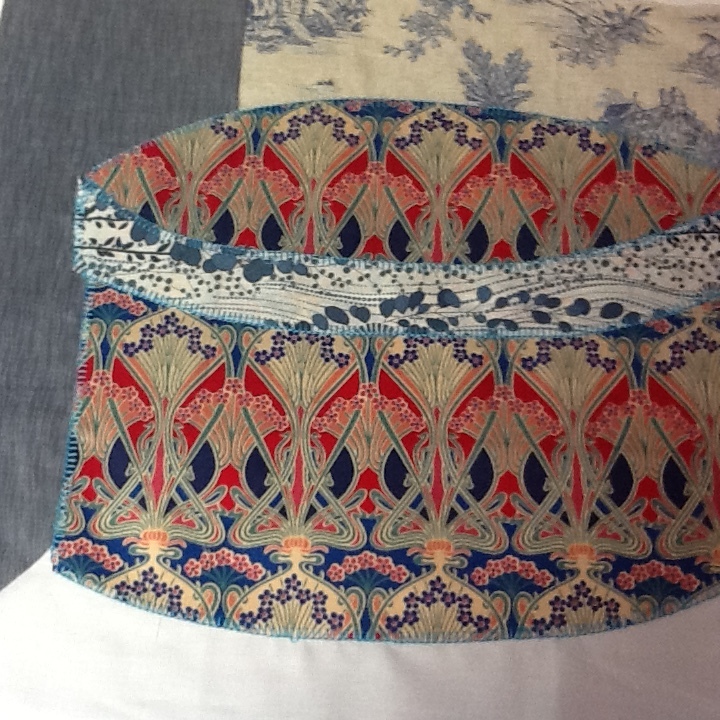 This time, I made it for ME, and I used some lovely Liberty of London jersey – yes, jersey, who knew? 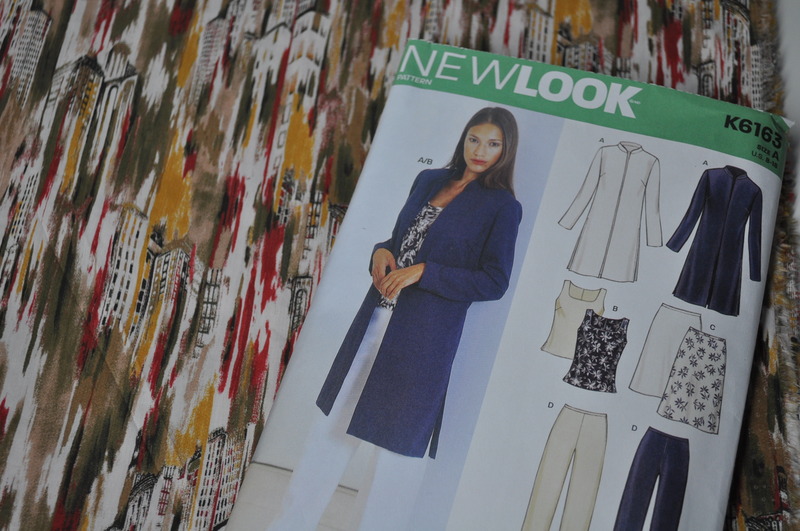 Well, they knew at Sewbox ‘cos that’s where I bought it but I only ever really thought of tana lawn when thinking of Liberty fabric before. Anyway, the first pic is a silly, take it yourself in your daughter’s bedroom because everybody else is out and you can’t wait, type of photograph but, also, the autumn colours came out really well here and in the next photos, in the garden, they don’t look quite as bright. 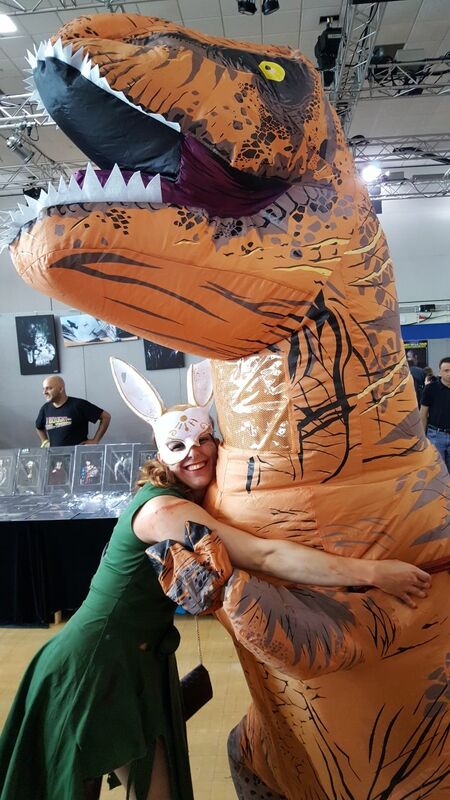 As a bonus, my physog is hidden by the camera so even more reason to like this one best! Oh, here I am. 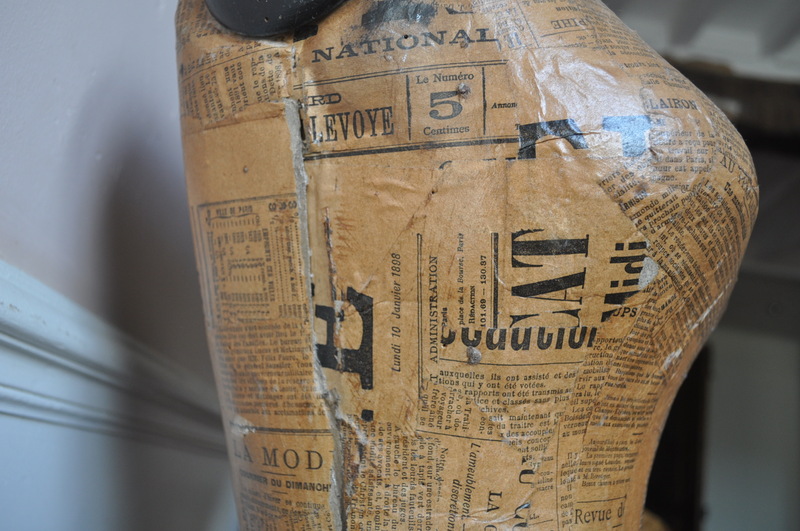 having changed grungy boots for cream patent court shoes – don’t ask me why because even I don’t know – and gazing at the hem as if I have done something magic with a twin needle which, indeed, I have. Interestingly, I had to revert to my trusty old(ish) Singer for that as my Janome doesn’t seem to have the capability or, if it does, I haven’t found out about it. Who knows what is happening here. I look as if I am calling all the creatures of the woodland to come and gaze at my creation but, really, I just wanted to show you the back of the dress which isn’t crinkly when I’m not performing. I have learnt that the sizing seems to be dependent on the fabric you use. 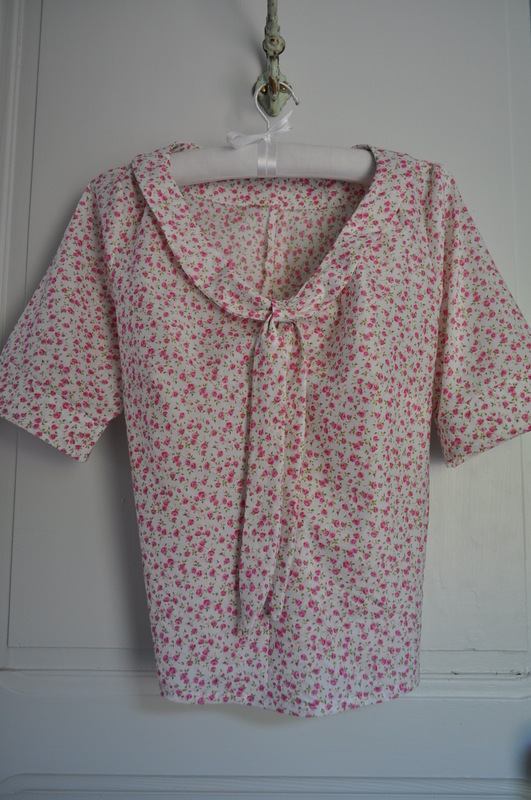 The last one, made in not such stretchy jersey, was a little tight but, as I had made it primarily as a muslin but in some sale price fabric I knew my daughter would like I could still put it to use. This time, even though I made the same size, it fits perfectly. Also, I notice that the waistline on this version appears to have dropped a little which might be to do with the stretchier fabric or I might have added a little on when I cut it out . 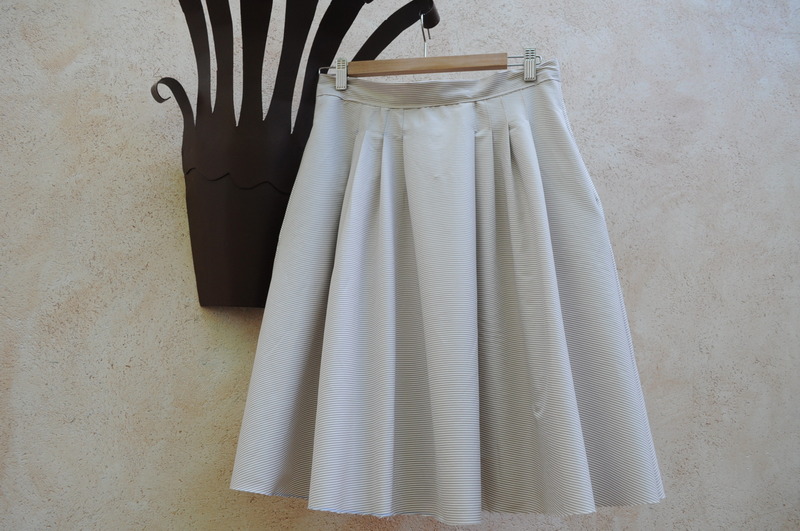 I don’t actually mind the slightly dropped waist and, anyway, I couldn’t adjust it because it would have made the skirt too short – as it was I only took up 0.5 inches for a hem. I know you can leave knit fabrics unhemmed as they don’t fray but it doesn’t seem quite right somehow. 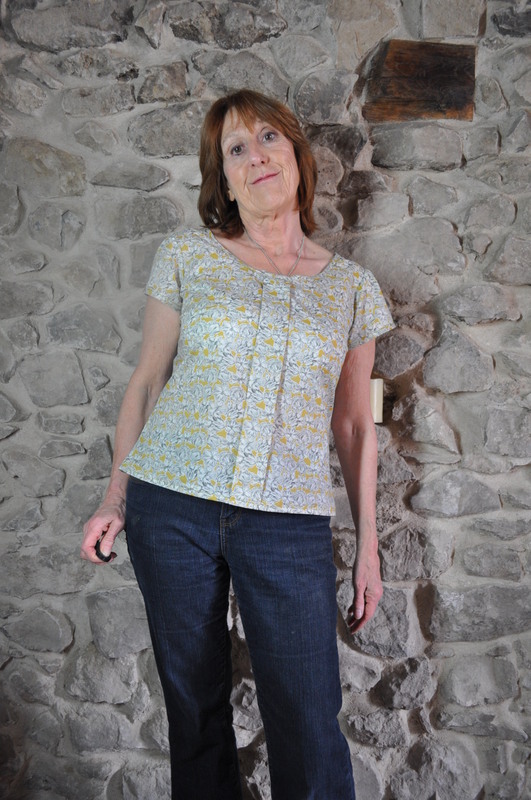 My last make of the summer was the Jasmine blouse from Colette patterns. I bought the pattern when I was in the U.K. in July so I at least saved the cost of the postage. I made the version with the notched cuffs rather than the gathered sleeves which I thought might be a bit ‘puffy’ for me. Although I think these ties were meant to be the ones you tie them in a bow, I haven’t because it would make a very underwhelming one and, next time, I would make these quite a bit longer. 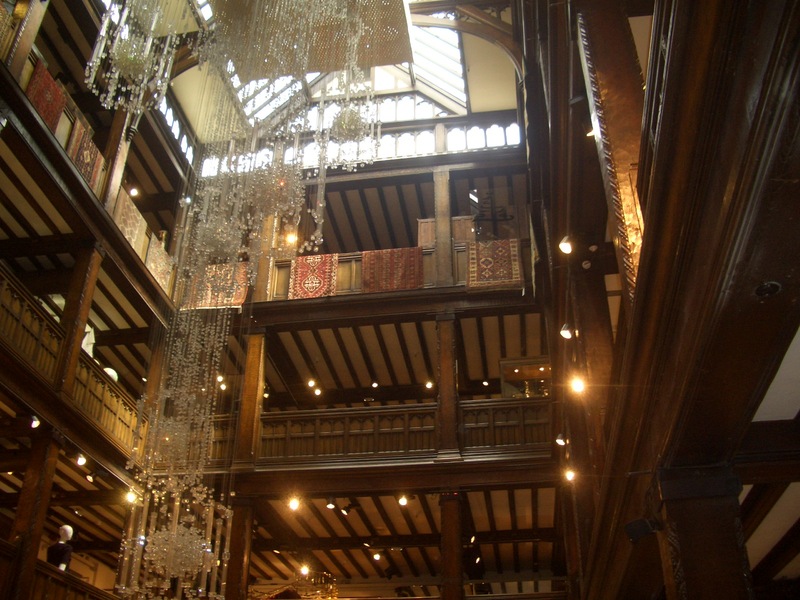 Also, next time, I might make it in something a little less extravagant – this one is Liberty (again!) – and because it is cut on the bias, it eats up the fabric. 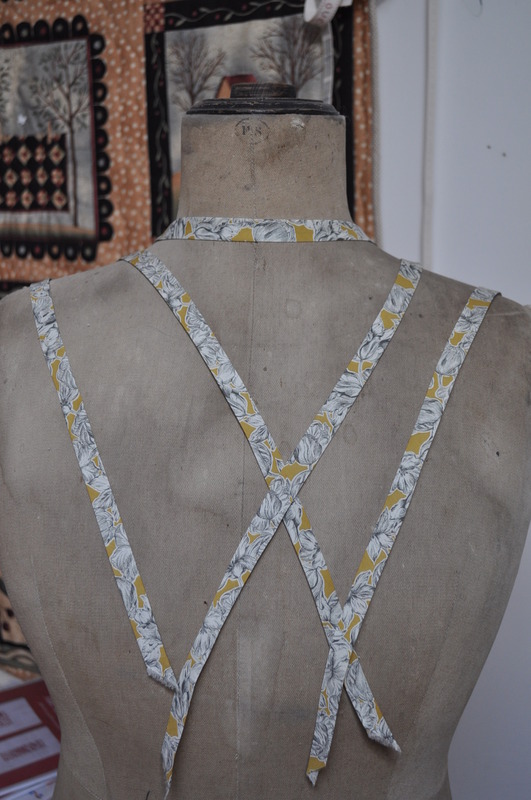 I would also go down a size because there seemed to be quite a bit of ease and I ended up adjusting the neckline and seams after I’d sewn them. Also – another also – I wouldn’t use interfacing on the cuffs and maybe not on the collar unless it was a very fine one. 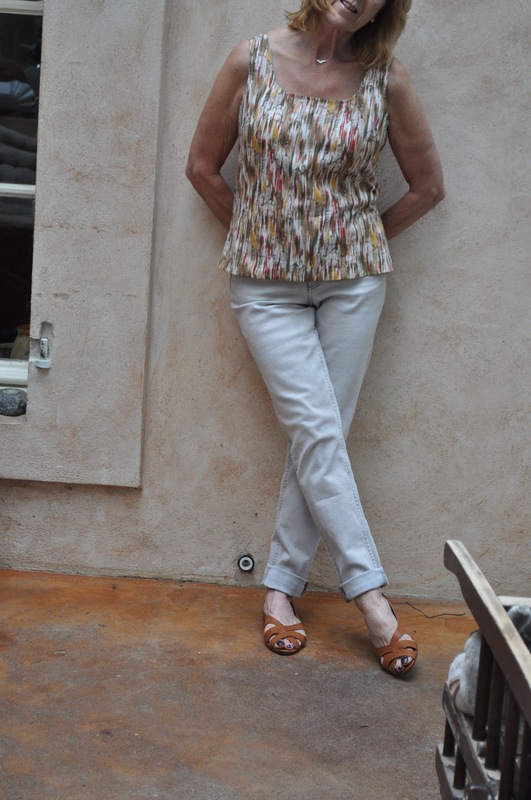 With tana lawn, the effect was to make the cuffs a little too stiff for the rest of the blouse and to make the fabric design more prominent where the interfacing is. Having said all that, I like it and especially like not having to faff with zips or buttons so I will make it again for next year. Tempted by an introductory discount off the new Colette pattern, the Zinnia skirt, I went for the PDF version so I didn’t have to pay international postage and also so I could get it quickly and, yet again, as with the skater dress, had a fun time cutting and taping the pattern together. I decided I would definitely make a muslin and had a roll of fabric I was given as a freebie which I hadn’t known what to do with. I was considering making it a wearable muslin until I realised that I had used the wrong side of the fabric but no matter. I slavishly followed the instructions and was very pleased with myself until I realised that they had missed the zip insertion step out of the instructions for Version 2 so I had a fully completed skirt, waistband and all, without any sort of back closure going on! Perfect for a hospital visit! 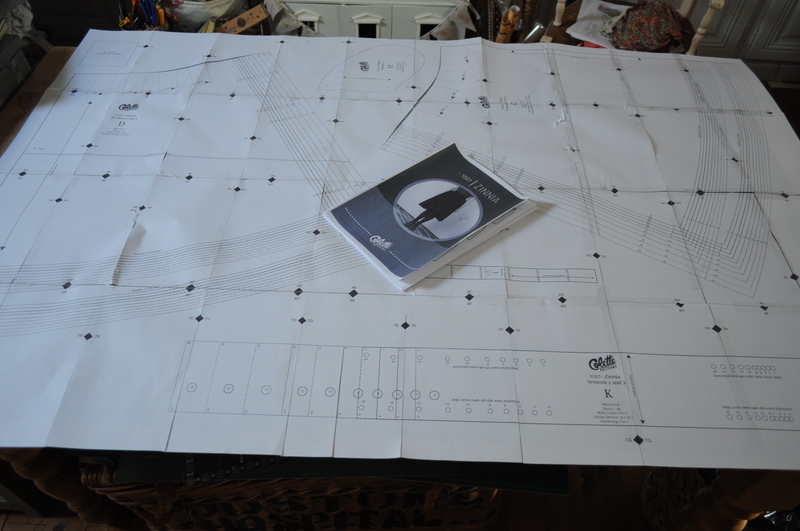 I should have realised before I got to that stage really but my mind was full of side pockets and topstitched pleats. Never mind, I pinned myself into it to check the fit and all was well. I contacted Colette Patterns to let them know there was an omission and they have now put it right. 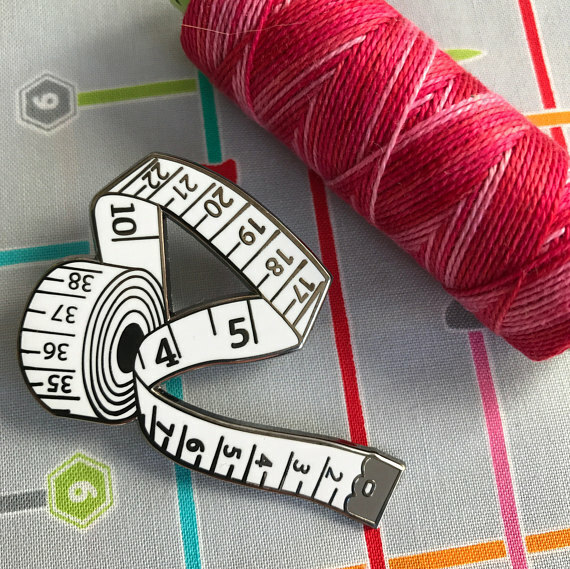 Now I’ve got the waistband size right, this will be a versatile pattern for all year round as there are three versions and you can mix and match and it is suitable for lots of different fabrics. Now I’ve completed the muslin, I think I will make version 3 which hasn’t got side pockets or belt loops and is a little longer. By the way, what looks like a giant metal hand holding on to the skirt, is actually a light fitting on our conservatory wall. It is one of many pieces of ‘fashion victim’ lighting that Mr. Tialys and I have bought which seem like a good idea at the time but subsequently appear incapable of throwing out any decent light at all. Back in France after my week-long visit to the U.K., still in shock as I didn’t have to take a jacket – no, not even a cardie. Baking in a heatwave, the Brits watched the tarmac melting, their children getting severe sunburn and old ladies getting stuck in deckchairs until, inevitably, it all got too much, there was a storm and the rain and wind returned. Oh, and a new prince was born. As predicted, I went to Brighton but didn’t have time to go on the pier this time so, instead, I bought some cards from a lovely photographer lady, Ruth Thomas, who was selling them in the market. 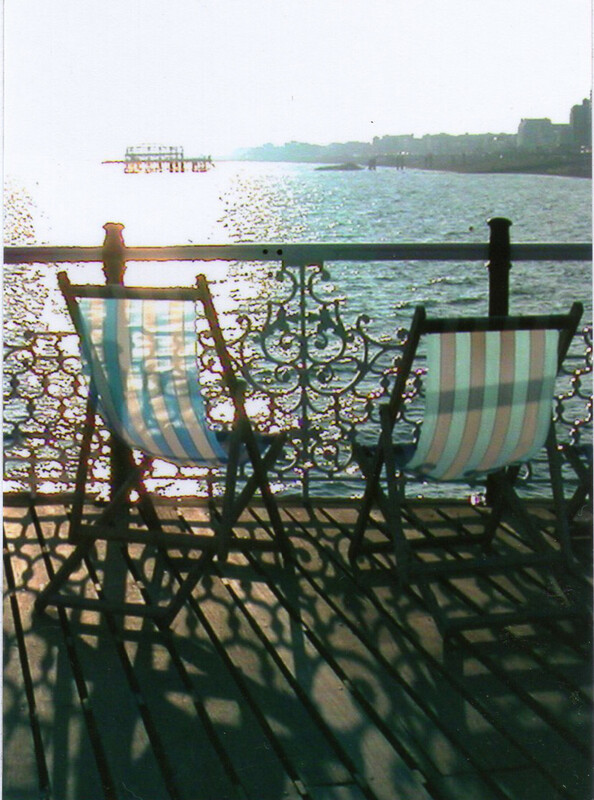 This one is my favourite and, although I sort of suspect the bright white light is a photography no, no, I like the way it seems to emanate from the old, destroyed Pier and shines through the deck chair canvas. The rest of the photos are mine and, because I was on a budget airline and too mean to pay for a suitcase, I only had room to take my teeny, trusty old compact camera so, sorry for the dodgy quality. I couldn’t decide which fabric to buy so bought a bundle of coordinating tana lawn to make into a small, simple quilt – when I get a minute. I went to an antiques fair and, as you do, bought an enormous vintage butcher’s hanging scale which can weigh items up to 200 lbs and is itself so heavy I don’t know how I’m going to get it back to France – hence the lack of photographic evidence! 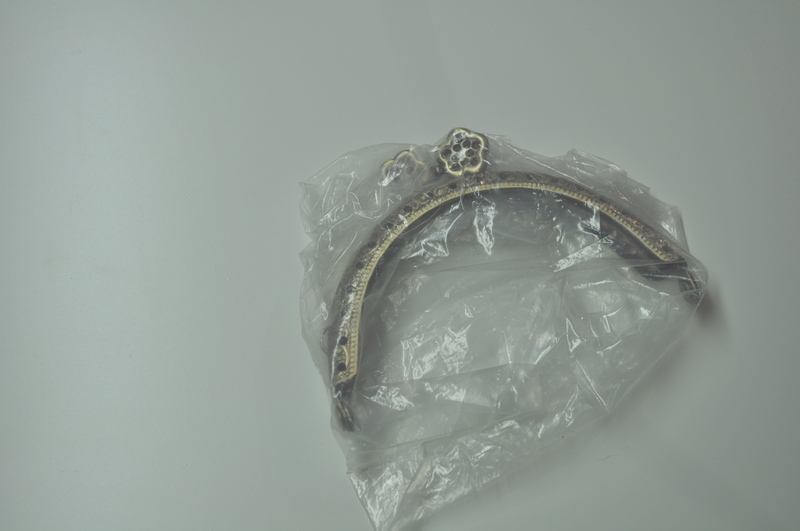 It has made its way as far as Mr. Tialys’ appartment as I thought he’d be able to bring it back in his cabin bag but he pointed out that Security might have a problem with the huge metal hook suspended beneath the scale. Who knew? 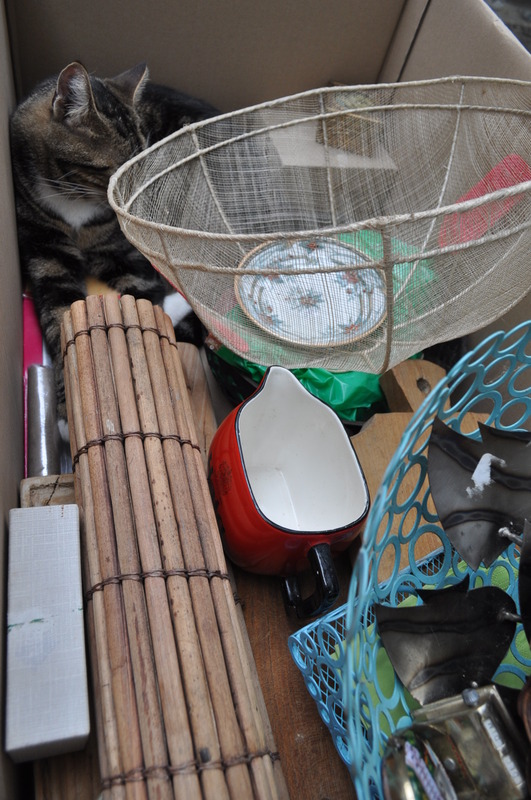 Inexplicably, I also bought some vintage wooden crates which I have left at my parents’ house and is where they will probably stay until somebody decides to chop them up for kindling. 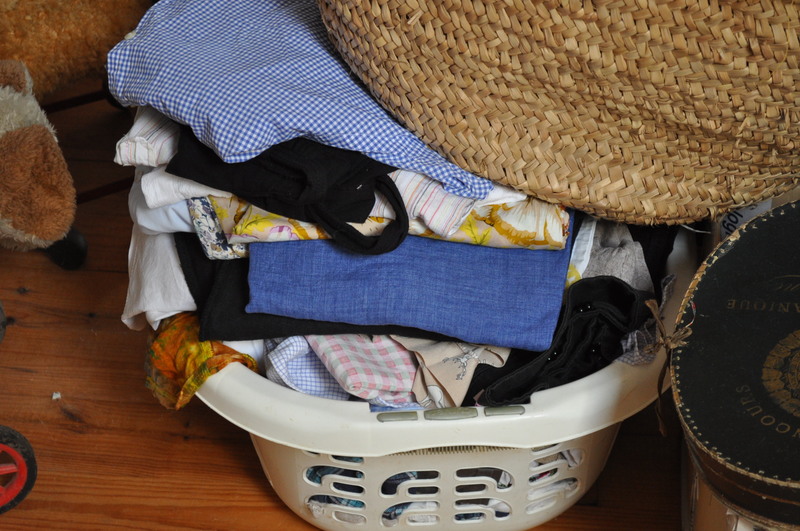 I do this kind of impractical shopping sometimes – I get carried away in the moment and, if Mr. Tialys is not there to talk sense, which he wasn’t on this occasion, I end up with all sorts of things and then have to organise a courrier delivery. I had arranged to meet my sister-in-law near London Bridge for drinks and dinner but went early to indulge in a bit of culture. 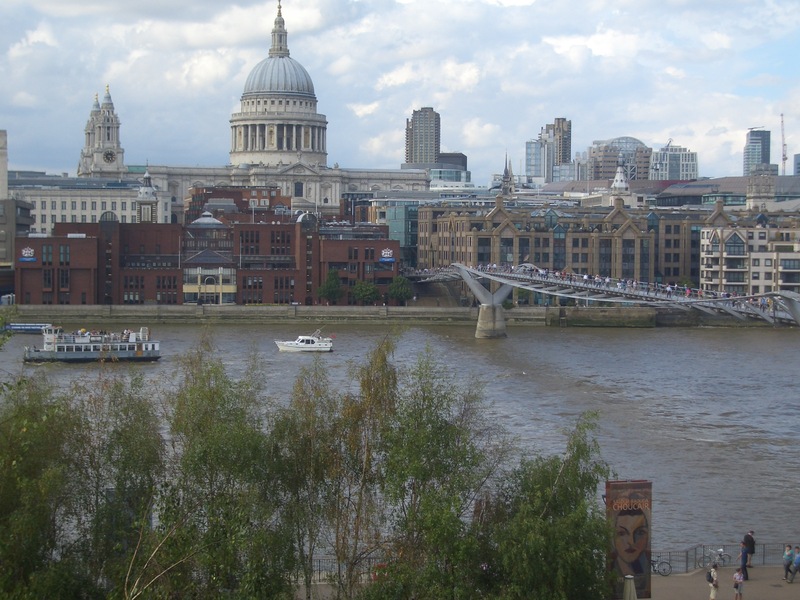 I always find certain exhibits at the Tate Modern good for a laugh and there is a lovely view across the Thames from one of the balconies where you can go for some respite from the innovations in art or, if you are so inclined, and many were, a quick ciggie. 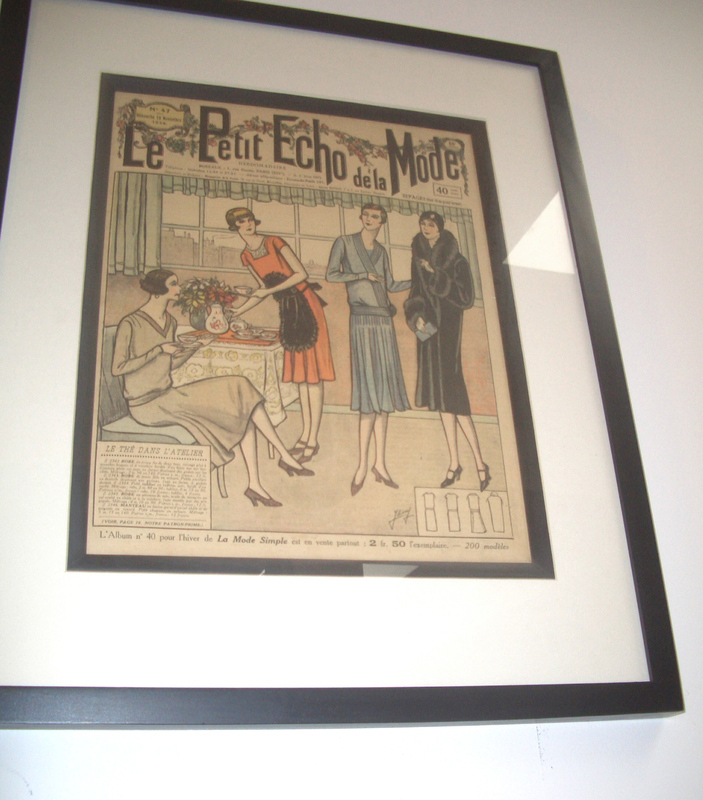 I had a traditional English cream tea (Oh, how I miss real cream) in, bizarrely, a tea shop just off Carnaby Street where I took a break from spooning clotted cream and strawberry jam onto warm scones to surreptitiously snap this framed French magazine as I have some of these in my vintage shop and wanted to demonstrate how good they look framed up. What, I hear you ask, is the meaning of the title of this post. Am I proud to be British, proud of that rather good photo of the Thames even though I only had my compact, or proud of my vintage finds? Well yes, all of those things but mostly I am proud of my Mum. Now 80 herself , although for gawd’s sake don’t tell her I told you, she was nominated for a voluntary carers’ award for visiting a housebound elderly lady every week – almost without fail – for the past ten years . She wasn’t going to attend the ceremony as she is far too shy and modest but, as I said I’d go with her, she agreed to go. 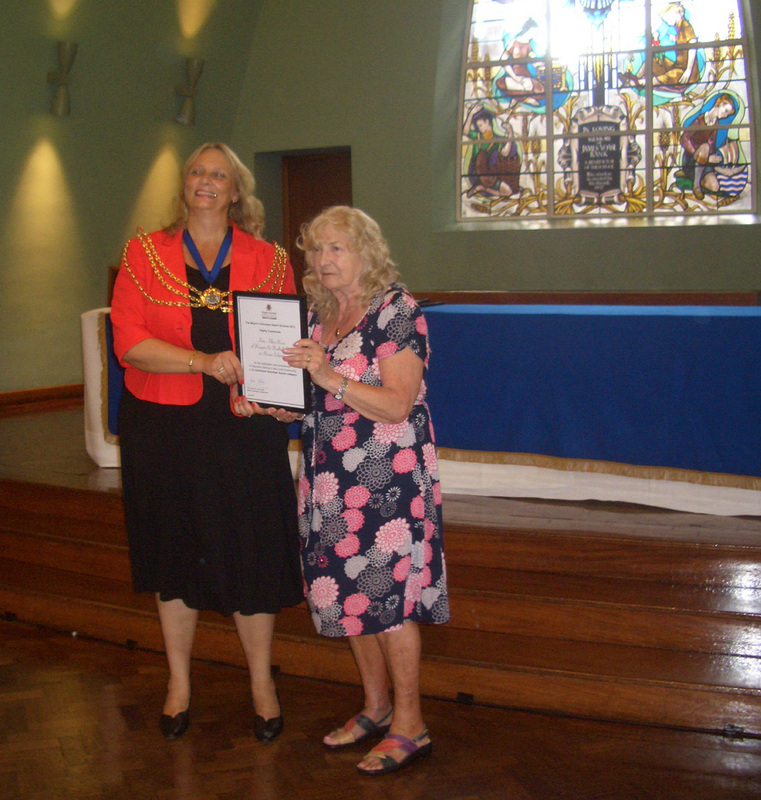 She received a framed certificate from the Lady Mayor and afterwards we had a traditional English tea (another one!!) in lovely gardens in the sunshine. When I got home I had over 350 emails to sort out – who are all these people who have my email address? – and Madamoiselle Tialys the elder has truly caught the dressmaking bug and was waiting for some help finishing a skirt she had started so I haven’t actually finished anything myself for a couple of weeks. Still, plenty of mother daughter bonding going on while she is home from university for the summer so I’m not complaining just explaining the lack of ‘tadaa’ moments in this post. Maybe next time. I think I told you, back in the mists of time that was 2012, I was having a dabble in a bit of dressmaking after a long time doing other things. 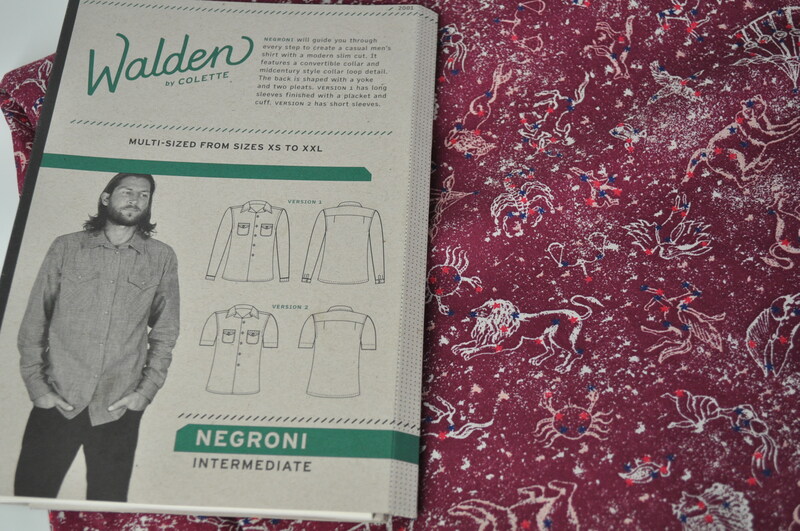 Well, I bought a pattern (Simplicity 2648) and some vintage tweedy stuff (it smelt and I had to wash it twice!) 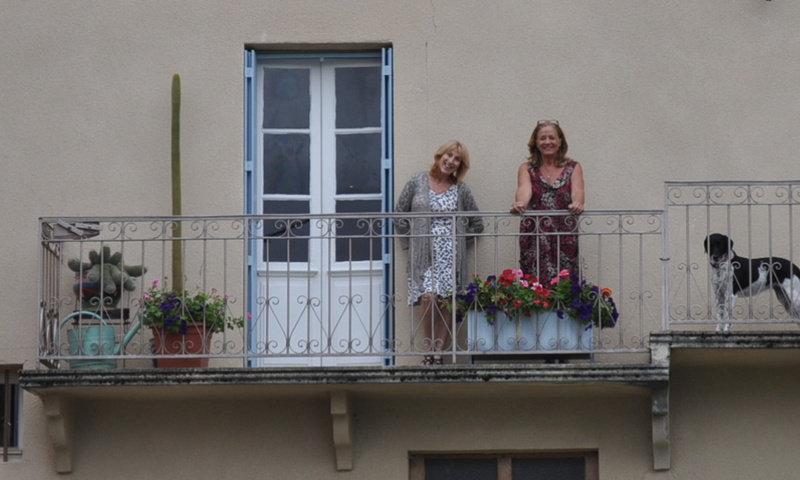 and I enlisted the help of my friend Sandra who is always making clothes and, anyway, has an overlocker. I apologise for the photos but Madamoiselle Tialys the Elder is away at Uni and I had to model it myself and, as you can see, I am shy. I was fairly pleased with how it turned out and I might even wear it in public. 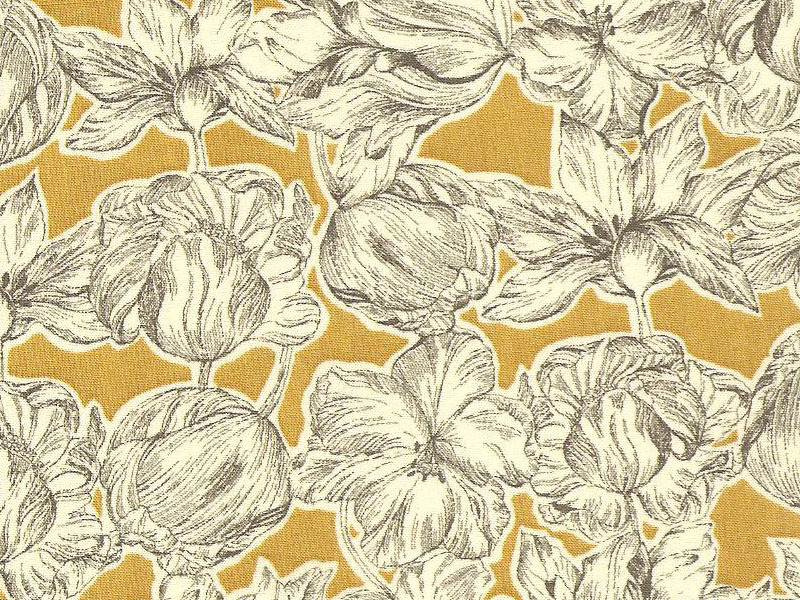 I think I will use the pattern again to make another for the spring in less wintry (and smelly) fabric. 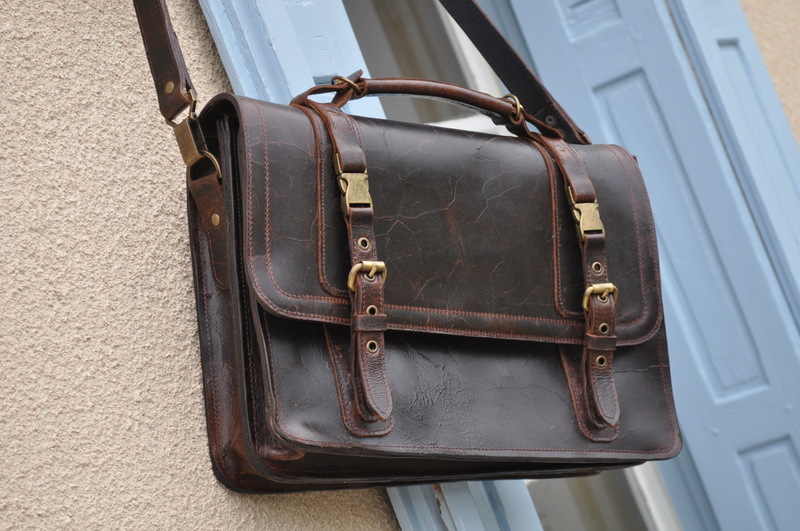 I used the rare occasion of allowing myself to be photographed to show you my gorgeous leather bag that I picked up in a flea market recently, intending to put it in my vintage shop. Even though I don’t have that much occasion these days to carry anything resembling an ‘officey’ type bag (made up word! ), it is the perfect size for an iPad, a couple of documents, a book, a wallet and a phone which came in handy when I had to go to Toulouse for an appointment the other day so perhaps I will keep it for myself after all. I have been pondering on new things to make for my handmade shop as, although I love those Bunny Bentos, they are a bit fiddly to make and I am getting bored with some of the other items as I’ve been making them for a few years now. 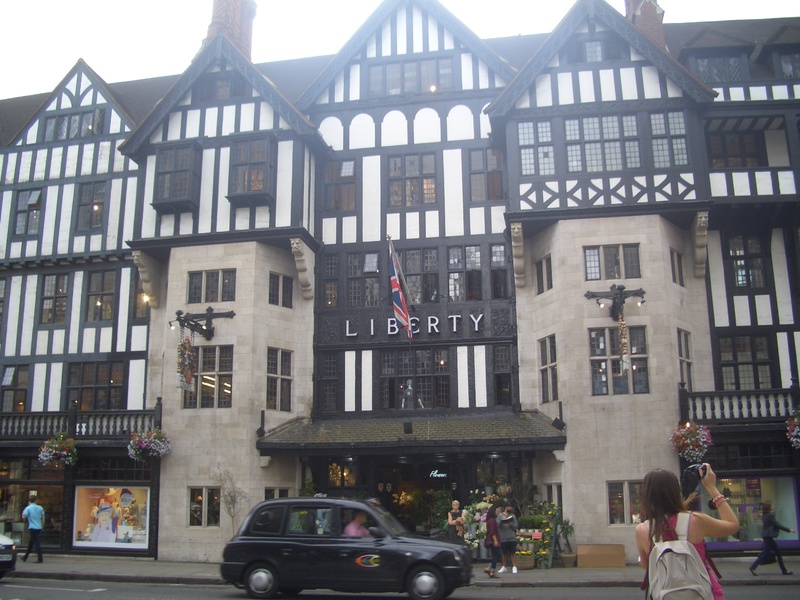 I was lucky enough to find a range of lovely Liberty Tana Lawn locally and, although the price in euros is not particularly cheap, at least there were no shipping costs. 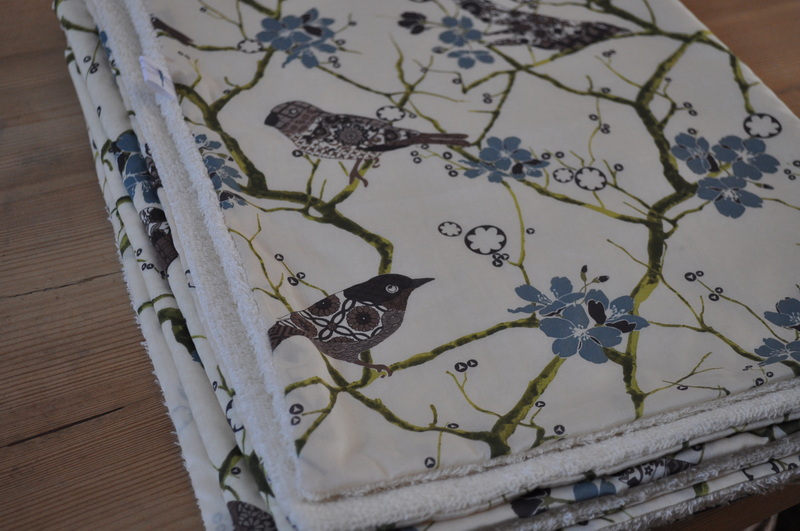 I always feel a little guilty cutting up Liberty fabric too small so, this time, I’ve gone in the other direction and kept it in one big piece, backed it with soft, cosy stuff, ‘quilted’ it together in a minimalist fashion and made a lap quilt, throw, baby blanket, whatever. 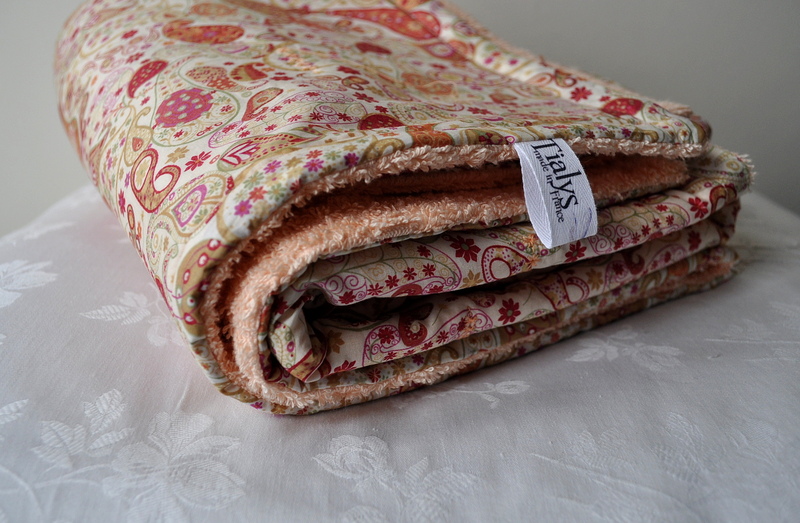 It’s a nice way to showcase the fabric I think and, of course, it feels lovely and buttery soft and silky on one side because of the tana lawn and cosy and cuddly on the other because of the towelling or flannel (I’m experimenting with both at the moment). I’ve free motion quilted (new verb!) some bird shapes on the second blanket but I used an erasable marker to transfer the shape and, I must say, it is taking a remarkably long time to disappear so I am hoping it will go soon, or at least after I’ve washed it, because I am panicking just a bit. I went through a phase recently of throwing those retro crochet blankets over arms of chairs and backs of sofas. 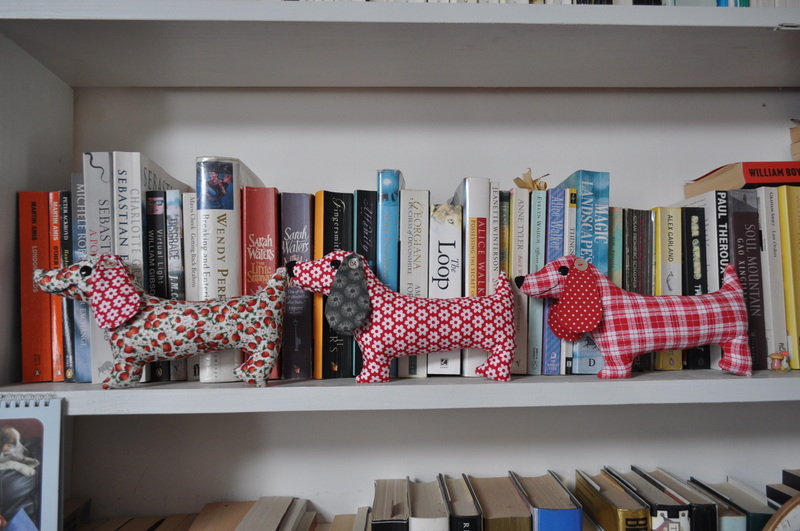 I am ashamed to admit I bought them rather than made them myself as I don’t crochet much – although I am going to re-teach myself soon – and they seem to sell for ridiculously cheap amounts of money considering the work that goes into them. However, they are a magnet for cat hair and, as anybody with cats will know, those buggers are incredibly difficult to get rid of once they are in the weave. 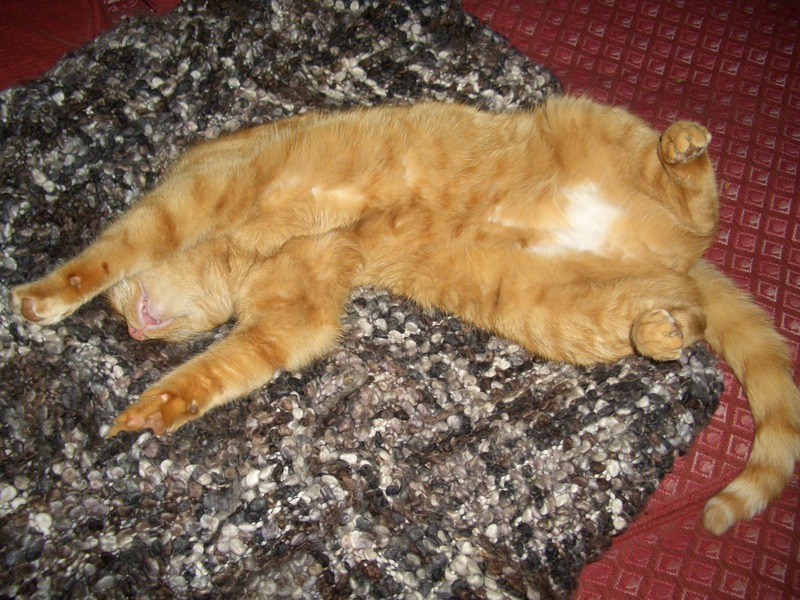 I can never understand why they sell dog and cat blankets made from polar fleece either – same thing happens and those hairs are there for life, even after being put through the washing machine. So, I started thinking lately that I might make a throw from good old cotton fabric and, rather than keep it upstairs away from all fur babies as I normally do, I will sacrifice it to my lounge and I am sure it will stand up much better to the occasional sleeping cat as, surely, the smoother cotton surface will be less attractive both to the hair and maybe even to the cat! I was thinking of something simple but then this caught my eye on the Moda Bake Shop site and it would be a perfect match for my colour scheme and look brilliant over the back of my leather sofa (even though it’s described as a wall hanging) so, after foraging on Ebay U.S. for the exact same fabric, I will start collecting newspapers and embark upon a paper pieced, patriotic, luxury cat blanket. I could have gone for different colours but this one suits me fine and I want to follow that tutorial to the letter and I feel that having the exact same fabric will make it somehow a little easier! Maybe I should get my Mum to send me a copy of the Daily Mail too so that I can follow it even more slavishly. This tutorial was put on the Moda site by Lynne at Lily’s Quilts and, when I popped over to have a look at her blog I found lots of things to slaver over and also interesting things to read so I’m a new follower. 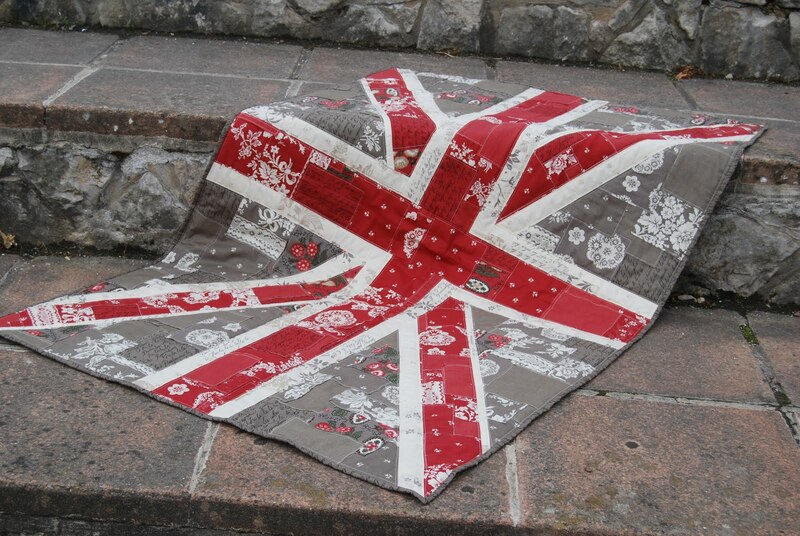 And no, I haven’t finished Madamoiselle Tialys the Younger’s 18th birthday quilt yet but the fabric for the Union Jack is coming from the States so it will take a couple of weeks and, anyway I have 32 days, including today, to work on it – it’ll be a doddle! By the way, on the vintage side of things, did I show you this wasp waisted beauty? She’s missing her stand but still a bit gorgeous. 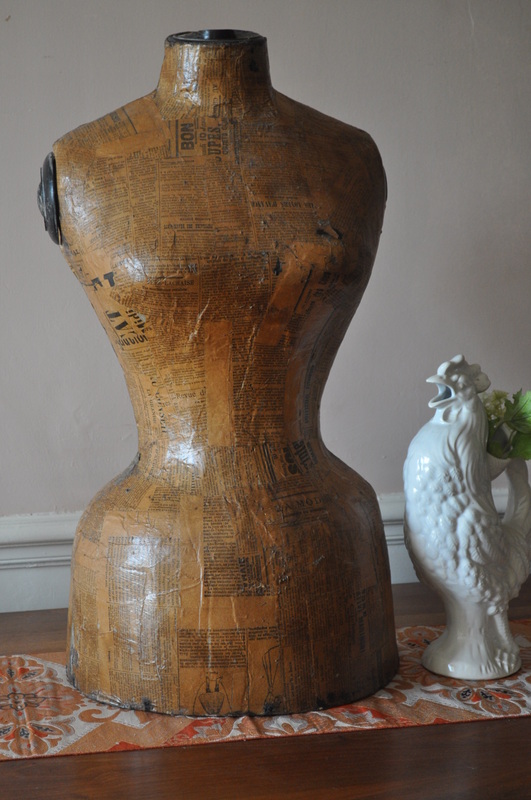 I wondered whether she was original at first but, the wood underneath the base is very old and the découpage is a bit ‘off’ in some places which wouldn’t be there if it were a repro. However, I do believe somebody has varnished it at some stage, presumably to preserve it better which is why it has that shine in my photo. The date, as proclaimed just under the right armpit, is 1898. when they obviously didn’t eat anything or waists were sucked in to the size of my thigh with a corset. I’ve been a bit ‘diverse’ in this post but haven’t written anything for such a long time that I got carried away.